Ibizawire- Access tickets to everything amazing in Ibiza with just the touch of a button from your phone! When it comes time to book your next magical getaway look no further than Ibiza Spain! 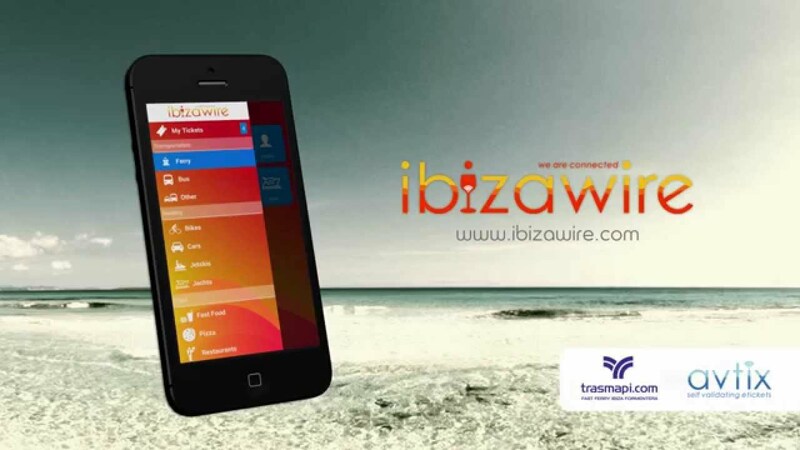 The Ibizawire app that is available on your mobile device can help you plan the entire getaway. Ibizawire can help with everything from accommodations and travel arrangements to entertainment and jet skis! Directly from the app you will have access to book boat trips to Ibiza as well as boats to Formentera in case you want to enjoy one of the amazing Formentera day trips that are available. All the way from Ibiza to Formentera the Ibizawire app has you covered and will provide a unique ticketing experience on your mobile device that is like no other. Ibizawire is more than just tickets on a ferry or a boat ride to and from Formentera. Ibizawire gives you direct access to everything you could want or need on the island. Ibiza wire strives to provide you with the easiest way possible to gain access to the greatest accommodations and entertainment on the available. This application will allow you to use Visa MasterCard American Express as well as other credit and debit card options and they also accept Paypal on their desktop website. The application is perfect for both residents and tourists as it provides direct and easy access on the go. With multiple payment options and the ability to provide you with tickets on your mobile device it would just not be smart to book your arrangements and accommodations any other way. So what are you waiting for? Download the free APP today!